Driven with perfection, we are indulged in bringing forth the clients a comprehensive assortment of Four / Three/ Two/ One Sink Unit Sink Units. Manufactured using premium quality steel, our range is extensively used for washing utensils which are used in hotels and restaurants. 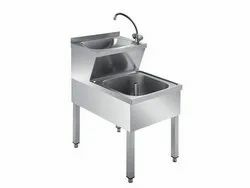 We are successfully meeting the varied requirements of our clients by providing the best quality range of Stainless Steel Sink. 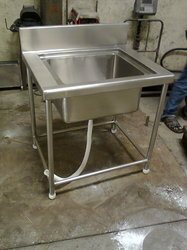 We offer our clients an exclusive range of Stainless Steel Gallary Sink.